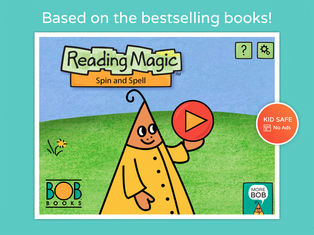 Bob Books brings reading to life by helping children make early connections between letters, sounds, spelling, and reading words. 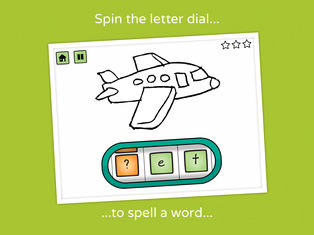 In the Spin and Spell app, players spin letters on a dial to complete a two- or three-letter word. Early readers distinguish between beginning, middle and ending word sounds and letters. 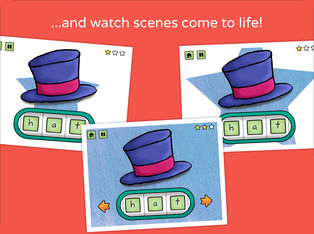 Spin and Spell offers three levels of activities. 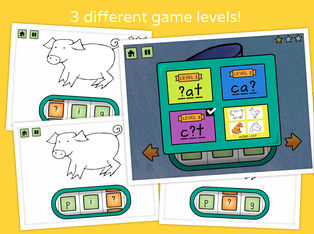 Bob Books Spin and Spell is designed to introduce early readers to word families, and make spelling easier and more intuitive through connecting words and sounds. Repetition, picture-word association, and focusing on specific parts of the word all contribute to giving new spellers tools for success.